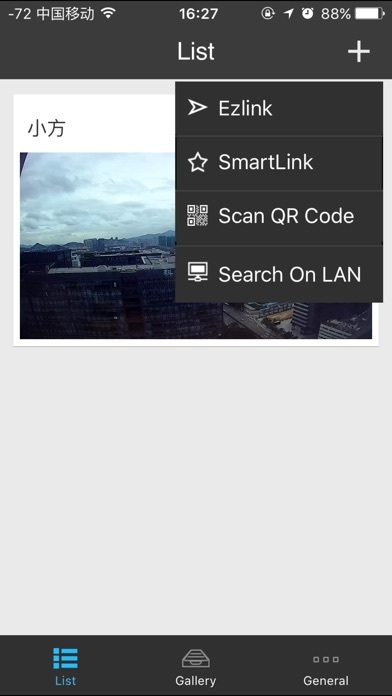 This app works only for zmodo new ipcamera with QR Code. Can’t check in on my business any more. Horrible app needs much work. It used to be fine but for the last 4 months I can’t use my phone app to see the surveillance cameras in my business. This app is terrible. I have to restart my phone to see any cam other than cam 1. Then it only works once or twice. My WiFi speeds are more than enough to run this app. I have a competitive camera and that app works 99% of the time. This one works about 5 %. Ever since the update it no longer works. Don’t even bother downloading this app. I bought a camera system from Zmodo about three years ago. Since that time they have slowly taken away the features of that system. My system is no longer supported by any of their apps except this one. This app is horrible. Total ripoff company!!! The app work fine with wired cameras, but terrible with Zmodo Wireless cameras. It continues to give offline message for cameras at random, even if you were just looking at the camera view a second ago. I have this app on my iPhone. I’m constantly getting notifications of movement in front of my cameras, but there is no setting to reduce the frequency so I get them every time a car drives by. Also the alerts stay on the app button and don’t disappear when I delete the alert photo. Motion alerts don’t work. Can not view storage video. Company can care less about anyone who has already purchased there items. Customer support is horrible. Won’t let me sign in, website to reset has 404 error. I’m probably being hacked as I type this review. Horrible! This app is supposed to allow you to view your cameras on your phone. The internet connection never seems to be fast enough for the app to run. Even when I'm at home and connected to my own wifi, I still can't view my cameras. Let's see some updates! Why is this App NOT working anymore!!! The camera is very very slow. Only shows one picture. And time lags one hour. Please fix this. Before the update I was able to view z sight outside of my home. After the update I can’t view it outside of the home. I am very unhappy with the new upgrades/apps. Since I don’t want my information stored in the cloud, the Zsight app renders my system useless to me. MeShare worked fine you should’ve left it alone😡 With ZSight I receive no alarm/alert badges or notifications. My husband has already gone round and round with you about this. 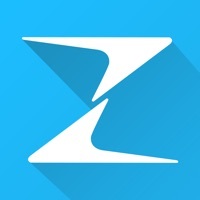 I have given the ZSight app the lowest rating possible and would not recommend Zmodo to anyone. The app used to work, then I updated to the latest version and absolutely will not load while connected to my local network!!! when I’m away or on cell network it’s better, but it’s still nearly unresponsive! Please fix!!!!!!! I have had a Funlux camera for the past 4 years. These cameras are suppose to be supported through the zsight/zmodo/meshare apps and they are all equally awful. At one point the zmodo app was working flawlessly and motion detection worked without a problem. Once these apps update nothing seems to work. I have went back and forth with customer service on all of these apps. Their answer always switch to the other app which will work for a day or two before it craps the bed. This ends my use of cameras tied to software that can be yanked away at any time. Switching to a trail cam. This app is honestly horrible. Switching between cameras takes time especially live and the lagging is ridiculous. It also doesn’t record everything and will have lots of gaps in the storage of no recording when you need it. Deleting as soon as I find a comparable app. Last fix caused problem. When attempt to access list. Shuts down program. Doesn’t work properly, very often has issues and you can’t not use the app connected with celular network. The zmodo app also doesn’t work properly. DON’T BUY IT !!! 1.3.96 broke my setup. I am no monger to view the cameras on my iPad or iPhone. 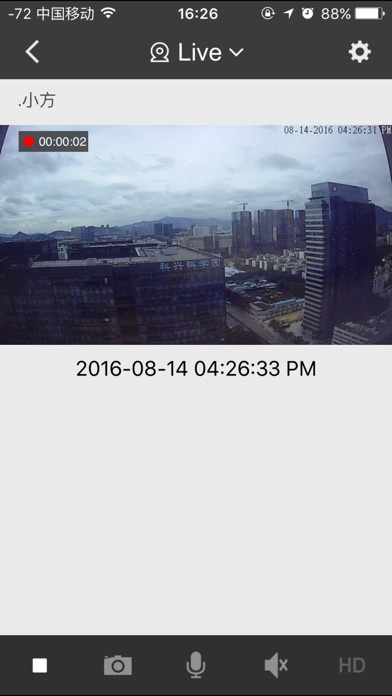 As soon as you tap the view of the camera, it crashes the app. Meshare isn’t an option for my setup. Zsight v 1.3.9 worked flawless for a entire year. I would love to get the old version back. App now does not work at all. Cannot stream live from phone. Just spins and spins waiting. Other cameras from another brand working fine. Cant see cam in hd now. Just when you thought an app couldn’t get worse...it does. Now just sits there with s spinning circle. App says bug fixes but means renders the app useless. Why make a product if you will not going to support it. They get you to buy there product but tech support will not help. Just reset the cameras!!!! That will not work for the app. App was never great. But since last update can no longer switch to view in HD. Would be cool if all 4 camera feeds were visible at once too. Just installed the new "bug fixes" and now I can't view my cameras in HD. The option is greyed out now. I actually wouldn’t mind have a more closed loop system, but I don’t like the false advertising. I get the “connection timed out. Internet speed too slow”. Message on 50mbps connection. Whatever the reason, there is no remote function with this platform. Since the app works fine on the same network, I would highly recommend for an on-site solution. The advertising and claims need to be generously adjusted. Followed app installation instructions to the letter. Connects then says ‘unknown error’. Reset all devices multiple times. Waste of time and $. Back to Amazon it goes. Someone tried to walk in my condo twice. Less then 5 min. later. The camera catches the person but won’t play it back. So the police couldn’t do anything. Paid over $100 for paper weights! Purchased 2 cams from Best Buy they only worked a few times. 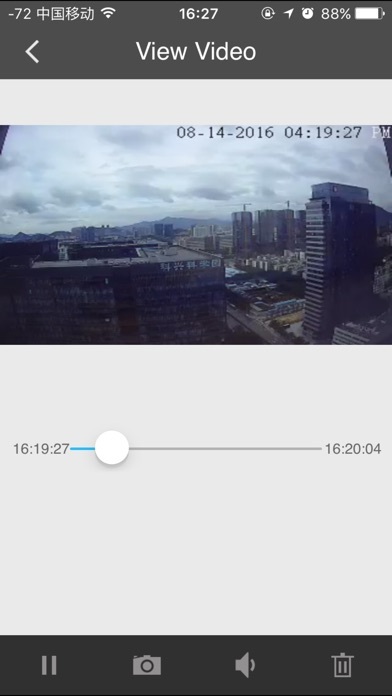 Cams have decent viewing quality when you can manage to pull them up on the useless Zsight app. Buyers beware stay away from anything related to Zmodo!!! This software is buggy at its best and typically not usable at all. I understand now why the NVR solution was so cheap. Hardware is only as good as the software that runs / connects to it. No longer can access network. 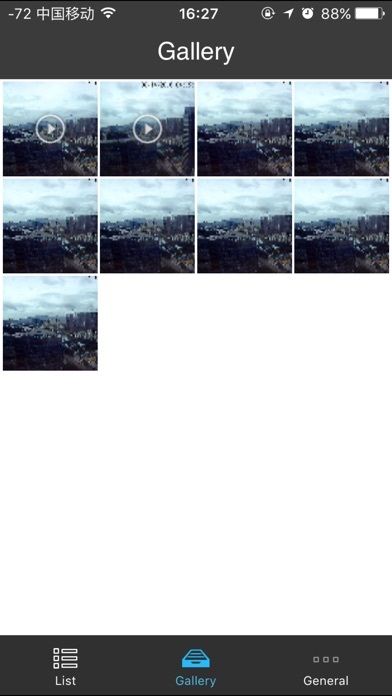 When I open app it just shows red x in each camera frame. Shame because this app in the past was really good at accessing cameras to the point that I had shown other people and they bought your products. I can sit in my house and still not access the cameras. Kind of useless equipment now. It’s not working again 😩 On a Apple product can seem to see the camera activities. Please fix it! When I’m away from home, it always says “connection speed too slow”. I never get to see my cameras away from home. Please fix. This app used to work great. I was able to see live feed for anywhere in the world. Then it stop and would only work on my WiFi at home. Now it’s completely stop and can’t view live feed at all. Set up is a joke. Customer service is through a live chat that doesn’t listen to what you are saying. They just copy and past responses until you get frustrated and leave. Everything is horrible, the quality of the DVD and Cameras, technical support, customer service... we can’t even see the cameras if we are not in the same network... it means we can’t see through the celular data... horrible... Buy Amcrest they are the best . I’ve had these cameras for a couple of years. At first they worked great but now i can’t get them to pair to my devices. I’m done fighting with them they’re junk. Don’t buy these. Since updates, neither zmodo app has worked for my camera. It makes my security camera useless. This app is awful. 90% of the time it tells you that there is a poor internet connection and refuses to produce a video feed. I updated my internet service and it STILL won’t work. Save your money. 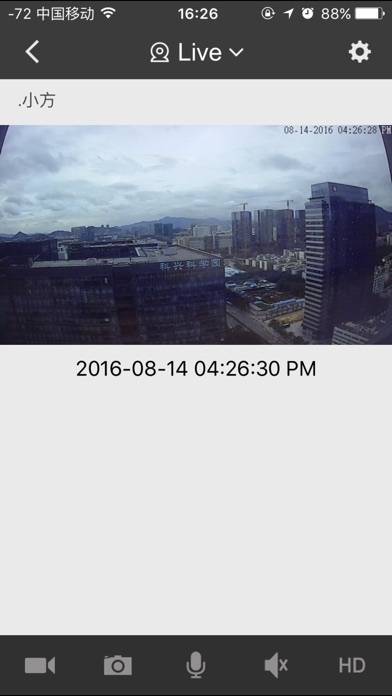 The zmodo cameras are alright, but the interface for their NVR and app are dreadful. There is no value in them whatsoever. Not sure what’s going on but ever since the latest updates, I can’t view my cameras while away from home. I get a poor connection error on a black screen every time. I can view them while at home but that does me no good on keeping an eye on everything while away. I can view them on a web browser fine, but this app won’t let me see anything. I’ve rebooted the system, uninstalled and reinstalled the app several times and it does this on my iPhone and iPad. Neither one works while away from the house.